If you are a homeowner in an extremely warm climate, like central California or Arizona, a good portion of your paycheck will be allocated towards keeping your residence cooler and livable in the summer months. When the temperatures rise into the triple digits, is can become suffocating hot and miserable to be outside. Researching ways to keep your home cool becomes a reality after those utility bills for July and August hit the mailbox. There are several way to keep your home cooler on hot summer days: keep the house locked up tight and the drapes and shutters closed during the day to retain the cooler air inside from getting out, planting large shade trees that will provide some coverage in the yard and on the house, or installing some of the new energy efficient exterior sun screens that block the heat before it even hits the glass. Installing exterior sun screens to the outside of the windows will lower the temperatures in your home, therefore, lowering the energy output to keep the house at a livable temperature. The woven material that the sun screens are made from reduces the heat from the sun by reducing the light that is absorbed. The heat and light are reflected away from the window glass underneath. So the shade reduces the amount of light and heat that hits the window glass and that is transmitted into the house. Research shows that a windows solar heat gain can be reduced from as much as 30%-60% percent. Those types of figures can have a huge impact on your energy bills. Sun screens also allow homeowners the flexibility of opening or closing the windows underneath the screens to allow the air to move back and forth when needed. 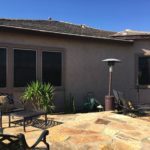 The sun screens can also be drawn up in the winter months to encourage more solar heat to enter and warm the house, thus lowering the heating costs during the cooler months of the year. 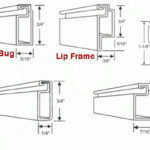 Many of the newer styles of sun screens are really user friendly. They are lowered or lifted at the touch of a button. They can also be lowered or lifted to certain heights on the windows. Another benefit of the sunscreens is that while they let the air to circulate through, they keep the pesky bugs at bay. Install energy saving exterior sun screens to block the heat before it even hits your windows. You will see your energy bills reduce dramatically after installation of these great energy saving screens, while keeping the house cooler in the summer and warmer in the winter when they are raised.